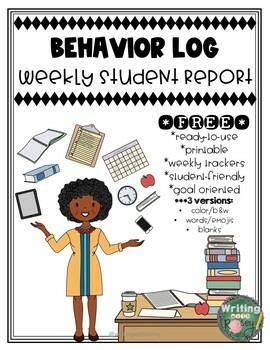 This product includes three different versions of a weekly behavior log to use to document student behavior. These logs can be used daily and changed out weekly. Each log is student-friendly and created in a way to help students be involved in this process and offer a self-assessment opportunity. There is a blank log, a log with options to check, and a log with emoticons. Choose the one that works best for you. 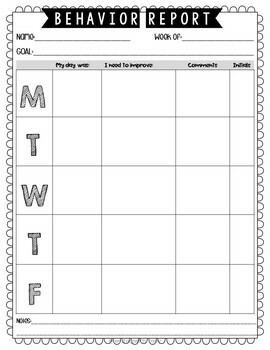 The logs can be used daily for the entire class or simply to track a high-needs student. 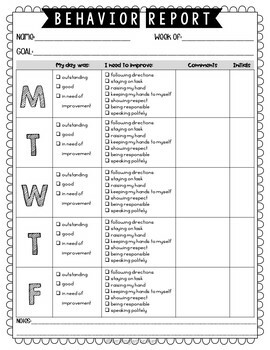 You can target a specific behavior and note the goal each week. Each log involves parent participation wherein parents initial each night and can add notes, if desired. 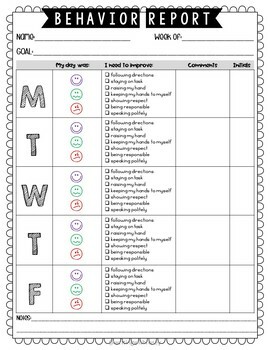 I recommend making a copy at the end of the week and send home or attach inside a student's daily folder so the parents can receive reports every day of the week.